In the previous lesson, you learned the meaning of 데 as a noun, and also learned how to apply ~는데 to sentences. 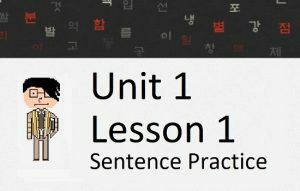 In this lesson, you will continue to learn about ~는데, and will also learn about the meaning that is created if you put a space between ~는 and 데. Let’s get started! In the previous lesson, you learned that you can use ~는데 between two clauses. When used like this, “~는데” has a meaning that is slightly less strong than the expression “even though,” where the first clause will often prepare the scenario for the second clause. In Lesson 23, you learned about the word “그렇다” and how many grammatical principles can combine with it. As you know, 그렇다 is an adjective. Therefore, ~ㄴ데 attaches to 그렇다 to create “그런데” (remember the ㅎ irregular, also introduced in Lesson 23). The most common English translation of 그런데 is “by the way.” In my opinion, this translation is not perfect. That is not really how 그런데 is used in Korean. In order understand its meaning, we need to remember the purpose of 그렇다. 그렇다 is used to refer to a situation. Grammatical principles are often attached to 그렇다 to add their respective meanings to 그렇다. 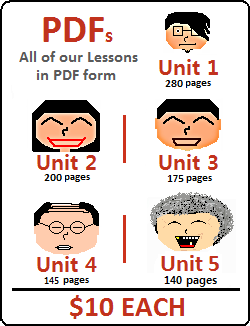 A simple example of this is when ~아/어서 (Lesson 37) is added to 그렇다. Person 1: 비가 왔어요? = Did it rain? When we use 그렇다, we are referring to a situation that was previously known or discussed. When we use 그런데, the speaker acknowledges the situation (through 그렇다) and the use of ~는데 sets up the next clause by indicating it will go in another direction. 그런데 is therefore used in sentences where a prior situation is slightly negated, and the speaker will bring up other information. It is difficult to give a simple English definition because we do not have the same type of thing. 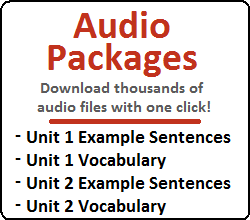 Let’s look at some examples to help you grasp its usage. 그런데 would typically be used in response to some previously stated sentence. Therefore, in the examples below, I have included a sentence before “그런데” to give the usage some context. Person 2: 그런데 바닥을 언제 닦았어요? = (But….) when did you wipe the floors? You will often hear the word “근데” being used instead of 그런데. 근데 is a contraction of 그런데, and therefore has the same usage. I specifically presented the meaning of “그런데” first because I wanted to show you how it is created – and then now I can introduce you to “근데” which is an evolved contraction. However, I feel that “근데” is much more common in speech. Below are many examples. You could replace 근데 with 그런데 in all cases, but I prefer to use 근데. Person 2: 근데 다른 사람들이 결과가 왜 최악이라고 해요? = (But…) then why do other people say that the result is the worst? Person 2: 근데 검사를 언제 했어요? = (But…) when did you do the inspection? Person 2: 근데 이런 것이 중요하다고 교장선생님을 어떻게 설득해요? = (But…) how do we convince the principal that this type of thing is important? Person 2: 근데 왜 이렇게 섭섭해 보여요? = (But…) then why do you look so sad? Person 2: 근데 그녀를 왜 아무도 안 좋아해요? = (But…) then why does nobody like her? Person 2: 근데 학생들이 과학을 왜 싫어해요? = (But…) then why do students not like science? Before we move on to another grammatical principle, I would like to discuss another way that ~는데 is commonly used. “~는데” is often added to the end of a sentence. The meaning isn’t entirely different than what has already been described in the previous lesson and in this lesson with 그런데 but its usage is slightly different so I am presenting separately. Person 1: 한국에 왜 가고 싶어? In that example, “~아서” ends the sentence, but only because the remainder of the sentence can be assumed from context. Similar to how “Because I like it” is not really a perfect sentence in English “너무 좋아서” is not really a perfect sentence in Korean. Using “But…” to translate these constructions into English works in a pinch (pun intended), but it doesn’t fully describe how and when these types of constructions would be used. These types of constructions are most commonly used when you are disagreeing with what somebody says – and your response is indicating your feelings towards what was said (directly or indirectly). For example, you can see in the example “나는 추운데,” Person 2 wasn’t directly telling Person 1 “Hey, don’t open the window, I’m cold!” Instead, Person 2 was trying to point out that he/she is cold – and therefore, doesn’t want Person 1 to open the window. Person 1: 빨리 가자! = Let’s go! I should point out, if you haven’t already guessed, that responding this way might be a little bit rude. Responding this way feels like you are talking back to the listener – as if you are thrusting your opinion towards him/her. However, this would depend on the context and the tone in which it is said. It is possible to make ~는데 formal at the end of a sentence by attaching ~요. Person 1: 빨리 와요! 우리 지금 바로 해야 돼요! = Come quick! We need to do it right away! Person 1: 와! 저 무지개를 봐 봐요! = Wow! Look at that rainbow! Person 1: 담요에 왜 이렇게 먼지가 많아요? = Why is there so much dust on the blanket? Different regions in Korea have different accents and dialects. My wife’s family all comes from the province “전라남도,” which is in the southern part of the Korean peninsula. People from this region usually pronounce the “데” in ~는데 as “디.” This is not specific to just using ~는데 at the end of a sentence as you just learned, but also in the middle of a sentence (separating two clauses) as you learned in the previous lesson. I live in Seoul and on numerous occasions I have been able to correctly identify that the person I am talking to is from 전라남도 just from hearing this different pronunciation. A foreigner speaking Korean is usually shocking enough to Korean people, but imagine how they might feel if you can identify their accent! Sometimes I like to use “~는디” when I speak in Korean as well. “는디” comes out of my mouth naturally sometimes because I have been exposed to it for so long. In the previous lesson, you learned about “데” as a noun meaning “place.” Also in the previous lesson, and continuing to this lesson, you learned the meaning that ~는데 can create if it used to connect clauses, used at the end of a sentence, or used with 그렇다. For the remainder of this lesson, I would like to introduce you to a similar looking (and sounding) grammatical principle. So far, you have learned the meanings that ~는데 can have. Notice that there is no space between “는” and “데.” You also learned that ~는 (or any other ~는 것 derivative) can describe “데” to refer to a place. 자물쇠를 여는 데 시간이 왜 이렇게 오래 걸려요? = Why is it taking so long to open the lock? Alright! I think that is enough about ~는데 and ~는 데. The usages and meanings of ~는데 are very confusing at first. To make the problem more complex, ~는 데 sounds identical to ~는데 in speech. This often makes it very confusing for Korean learners – who not only have a hard time understanding the subtle nuance of ~는데, but also have to distinguish between ~는데 and ~는 데 – both of which have more than one meaning. 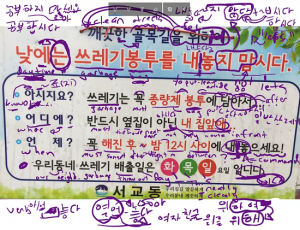 The context can always help distinguish these sentences for you, but this will only become easy if you expose yourself to Korean as much as possible (and of course, use Korean as much as possible). ~는데 and ~는 데 are two grammatical principles that take a lot of practice (using and hearing) to fully understand. So what are you waiting for? Get out there and start practicing!